Just $8,500 will make it happen! 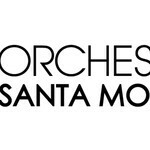 Conductor Allen Robert Gross and Orchestra Santa Monica present engaging, wonderfully performed concerts at the Moss Theater in Santa Monica. On May 21 Allen and the musicians are ready to perform a beautiful concert of Haydn, Schubert, and a premiere of a delightful bassoon concerto by local composer, Damian Montano. However, they need your support to make this happen. We need $8,500 to complete our season. That’s not a large sum, but it is an important one for us at this moment. We are reaching out to friends and family and their friends and family to help us reach our goal. A gift in any amount makes a difference and will be greatly appreciated. Thank you!